Helping consumers, families, and workers for over 30+ years. Consumer Alert: Gas line insurance? Many homeowners are receiving solicitations from at least one company offering to provide insurance for home gas line breakdowns which are the responsibility of the homeowner. Generally, a private company or municipal utility is responsible only for the gas line running from the street (or easement) to the home’s meter. Inside lines to furnaces and other appliances are the responsibility of the homeowner. 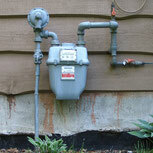 Statistics show that serious gas line leaks or problems occur very rarely. More people die each year falling out of bed than from gas explosions, according to published statistics. Nevertheless, problems can occur, although the cost to the homeowner of repairs is generally fairly modest – running from $140 or so to repair/replace a shut off valve to several hundred for replacing a large section of supply line. The cost of this insurance is fairly high, running about $70 per year. The likelihood that a homeowner would need repairs over the course of home ownership costing more than the insurance per year is very low. The question is whether a homeowner ought to purchase this insurance are not. The first consideration is that it is quite unlikely that you will ever need to draw upon the policy. The second consideration is that the policy costs will likely exceed any repair costs over any extended period of ownership. The third factor is the quality of the insurer itself. Some of these companies have a spotty history including facing complaints by state attorney generals and by consumers themselves. My advice to homeowners would be to consider any purchase of this insurance carefully, taking into consideration the items noted above, and do not be made fearful that you are in personal or financial jeopardy without having this insurance. If you have any questions or problems regarding ANY consumer issues contact the Law Office of John Suda. This site contains Attorney Advertising. I am a debt relief agency. I assist people who may decide to file for bankruptcy relief under the Bankruptcy Code.| Disclaimer | Copyright John Suda 2015 All Rights Reserved.